Rebellious Earlies, Desperate Mids, Hilarious Lates… No, we’re not talking about the average Egyptian’s lifespan. We’re talking about the Egyptian 70s! Things were different back then. It’s like someone put LSD in the Nile just to see what we’ll do. Here are the different ways the 70s were… special. 1- Yes, yes, the entire world was crazy back then, but that’s no excuse. If all the other countries threw themselves off a bridge, would you do the same, Egypt? Well, yes. If it was Abdelhalim Hafiz’s funeral. This was not the only way Egyptians mourned their favorite star. The day Abdelhalim Hafiz passed away, no one went to work or school. It was a national mourning day! 2- We seem to believe that before the internet, Egypt was not in touch with other cultures. This couldn’t be less true. We had an underground psychedelic scene mirroring those in the US and the UK. Documented – very creepily – in Anf Wa Thalathat Oyoun. 3- We also had our fair share of flower children. Who can forget those music-loving free spirits? 4- The 70s were confusing times. And that’s how we ended up with all those weird films. Who can forget a gem like Mamlaket Elhobb? A catastrophic attempt at sci fi. 1- It wasn’t all that scary, though. Back then, fashion was as at its innovative peak! 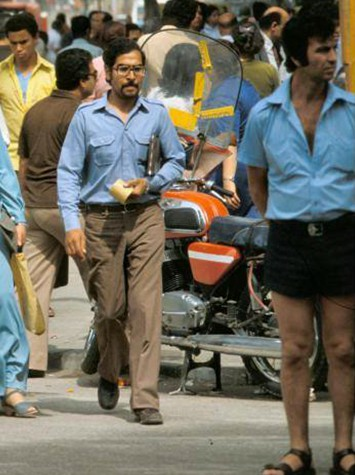 Egyptian 70s fashionistas are still considered timeless trend-setters. 3- And even men got to dress the way they wanted. Fashion statements and all! Thanks to the awesome Imam brothers. 3- Basically, we knew how to party back in the 70s. Did you know that you could have your birthday party in movie theaters? Yes! This was possible. Now we want cinema birthdays too.